After spending the last 10 months living in Rabat (Morocco), in a few weeks I’m starting a new project. My new destination is San Francisco, California, US. 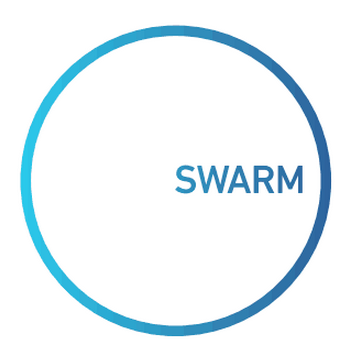 Swarm is committed to helping small business retailers understand their businesses and customers better. Our family of smart retail devices, coupled with advanced retail analytics and a comprehensive retail management platform, can help retailers increase sales through superior insights. This opportunity is thanks to the Jóvenes con Futuro program: http://www.stepone.com/jovenes/about-the-program/. The goal of the program is to match the brightest technical minds in Spain and arrange placement with companies in the San Francisco Bay Area and New York City. I’m very excited about this new project. I expect to learn a lot and from the best. Three lucky winners stand a chance to win e-copy of the book. Keep reading to find out how you can be one of the Lucky Ones. All you need to do is write your e-mail and name below. It’s that simple. Winners will be contacted by email, so be sure to use your real email address when you comment! You head on over to the book page (Testing and Securing Android Studio Applications) and look through the product description of the book and drop a line via the comments after sending your email, to let us know what interests you the most about this book. You tweet about this giveaway. You follow me on twitter. Winners will get an e-copy of the Book. 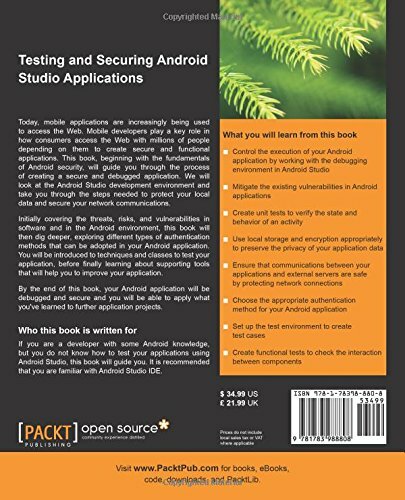 Testing and Securing Android Studio Applications is my second book that has been recently published by Packt Publishing here. You can get it also from Amazon here. Today, mobile applications are increasingly being used to access the Web. Mobile developers play a key role in how consumers access the Web with millions of people depending on them to create secure and functional applications. This book, beginning with the fundamentals of Android security, will guide you through the process of creating a secure and debugged application. We will look at the Android Studio development environment and take you through the steps needed to protect your local data and secure your network communications. Initially covering the threats, risks, and vulnerabilities in software and in the Android environment, this book will then dig deeper, exploring different types of authentication methods that can be adopted in your Android application. You will be introduced to techniques and classes to test your application, before finally learning about supporting tools that will help you to improve your application. 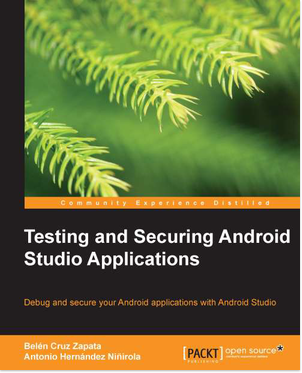 By the end of this book, your Android application will be debugged and secure and you will be able to apply what you’ve learned to further application projects.